This is our last week before we return to our regular two worship schedule, with services at 9 and 11 am. How would you like to see ICYMI reflect worship going forward? Leave your comments below! Our Gathering song is Take my life and let it be. Lord of rough-worn hands, who knew the labor of hammer, saw and lathe. You are the blessing of those who labor, and the source of rest for all who are weary and heavy-laden. Be with us in all our work – the labor of employment, the work of home and garden, the tending to family, the service we offer to one another and to our neighbors in need. Give all pride in their work, a fair return for their labor, and joy in using the gifts and talents you have given them in meaningful ways. Grant opportunities for work that is sustaining and purposeful for the unemployed and underemployed. Protect those who are treated unfairly in workplace, field, or factory. Liberate those who are forced to labor against their will. On this holy day of rest, and in this time when our nation remembers our laborers, we pray blessings upon all workers and all work, knowing that your labor on our behalf never ceases. This we pray in your name, O Christ, who lives and reigns with the Father and the Holy Spirit, one God, now and forever. Amen. 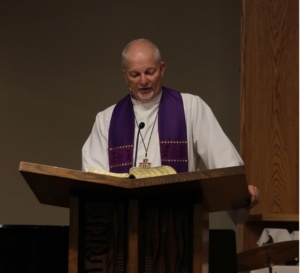 Pastor Dave’s Sermon Snapshot: On this Labor Day weekend, we give thanks to God for our vocational callings, and ask God to bless the labor of all workers. Our focus today is on Christ’s calling to those who wish to be his followers, as we will hear in our Gospel lesson. What does Jesus say it means to be his disciple? What does he call us to lay down, and to take up? Welcome to all as we explore these important questions and worship the one who, by his self-sacrificing work, has set us free. Open to the gifts of the Holy Spirit, we pray for the church, the world, and all of God’s creation. Each petition will end, “Lord, in your mercy” to which the congregation responds, “Hear our prayer.” We observe a brief time of silence for preparation. We pray for the needs of our sisters and brothers in faith. Bring healing to the ill and injured, peace to all who are near death, consolation to the sorrowful, and hope to the discouraged. We remember those who have asked for our prayers – Anna Bero, Cheryl Buettemeier, Phyllis Hahn, Claire Huehnerhoff, Mary Mehlum, Iris Schiffer, Vernette Rae, Corinne Riemer, and Marilyn Van Brero. Lord in your mercy. Into your hands, gracious God, we commend all for whom we pray, trusting the power of Christ and the gifts of the Spirit. ADULT FAITH FORMATION ON BREAK – this holiday weekend. Next Sunday we begin a Reformation-themed series for September and October, guided by Martin Luther’s Small Catechism (a copy of which will be provided to those who attend). 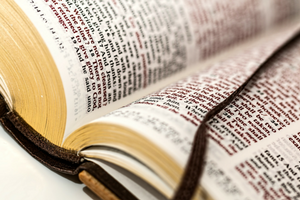 Pastor Dave leads us, from 10:15 to 10:55 am, in the Library. Please join us as we grow in faith together. CHILDREN’S FAITH FORMATION returns next week! We invite kids ages 4-10 to join us in the Youth Room at 10:15. Our program is designed for children to be able to participate whenever they’re here, so drop-ins are welcome. OFFICE CLOSED MONDAY – for Labor Day. We give thanks for our dedicated and talented staff and for their labor in support of the ministries and mission of Cross of Christ. Thank you, staff! The office reopens Tuesday at 9:30 am. TODAY IS THE LAST SUMMER WORSHIP SUNDAY – Next week we return to our two-service schedule – Traditional service at 9 am, Casual worship at 11 am, and Discipleship Hour between. It’s been fun worshipping together in various forms and styles this Summer. We’ll continue coming back together on fifth Sundays in October, December, and April, with Reunion Sunday special events. Our next combined service Sunday is Reformation Sunday, October 29, with one very special service at 10 am, followed by an Oktoberfest luncheon. NEW COORDINATOR OF CARING MINISTRIES – After a thorough search process, Pastor Judy Brennan has been offered and has accepted the newly created position of Coordinator of Caring Ministries. Pastor Judy will be working with our lay Caring Ministry leaders and volunteers to provide care for our members in need. Working on a one-quarter time basis – averaging about 10 hours weekly – Pastor Judy will partner with Pastor Dave to provide pastoral care, emergency responses, and pastoral guidance. She will spend most of her time outside of the church office visiting folks, but will establish regular office hours yet to be determined. She will also be with us in worship approximately one Sunday a month. Pastor Judy officially joins our staff on Tuesday. She will be officially installed in both worship services on Sunday, September 24. She is excited to get to know us, and we are looking forward to working with her! IN CASE YOU MISSED IT – Will you be traveling this summer or otherwise unable to attend worship? Take a peek at a new feature on our blog: ICYMI Worship! ICYMI stands for In Case You Missed It, and it’s a brief roundup of our worship service each week that includes the readings, hymns, Pastor Dave’s Sermon Snapshot, the prayers, and announcements. You can learn more by visiting the Cross of Christ Facebook page and clinking on a link to ICYMI, or at http://www.crossofchristbellevue.org/category/icymi-worship/. LUTHERANS RESPONDING TO VICTIMS OF HURRICANE HARVEY – Lutheran Disaster Response and its affiliates are collaborating with community leaders, government officials, and other non-profit agencies to respond to the massive needs – both immediate and long-term – created by Hurricane Harvey. The ELCA and Lutheran Disaster Response/Relief have a long history of caring for people impacted by natural disasters both domestically and abroad. From the ELCA website, “We invite you to stand by our neighbors on the Gulf Coast during this time. Your gifts ensure that our Church will be able to provide help and hope for those left homeless or otherwise affected by this disaster for years to come. Gifts to Lutheran Disaster Response, designated for “Hurricane Response – United States” will be used entirely (100 percent) for this disaster. Together, we can help provide immediate and long-lasting support. Give today to support the needs in this response and others like it.” To learn more please visit the ELCA website at www.elca.org. Thank you. RICK STEVES REFORMATION 500 ANNIVERSARY VIDEO – Be sure to check out this video offering – “Luther and the Reformation” produced by our synod’s own Rick Steves! Five hundred years ago, Martin Luther kicked off the Protestant Reformation, which contributed to the birth of our modern age. In this one-hour special — filmed on location in Europe — Rick Steves tells the story of a humble monk who lived a dramatic life. Rick visits key sites relating to the Reformation (including Erfurt, Wittenberg, and Rome) and explores the complicated political world of 16th-century Europe — from indulgences to iconoclasts, and from the printing press to the Counter-Reformation. It’s a story of power, rebellion, and faith that you’ll never forget. Watch the video here: https://www.ricksteves.com/watch-read-listen/video/tv-show/tv-specials/luther. NATIONAL LUTHERAN CHOIR IN WASHINGTON – presenting a community-wide evening of singing in commemoration of the 500th anniversary of the Protestant Reformation. “Jesus Christ: Yesterday, Today and Forever” is a musical program celebrating a rich treasury of music – from early hymns to new works – expressing the journey of the Lutheran Church. Under the direction of Dr. David Cherwien, the 64-voice National Lutheran Choir is in concert at 7:30 pm on Friday, September 29, at St. Mark’s Cathedral, Seattle. The concert is free and open to the public. Info at: www.saintmarks.org. A freewill offering will be received to support Compass Housing Alliance and Imagine Housing. Fellow Lutheran and travel guru Rick Steves has agreed to match the offering at this event up to $20,000. 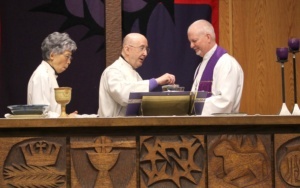 NW WASHINGTON SYNOD WOMEN’S ORGANIZATION CONVENTION – October 7 from 7:30 am to 3:30 pm at Trinity Lutheran, Lynnwood. Rev. 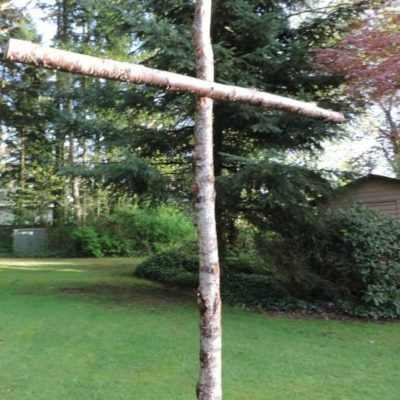 Heidi Fish, pastor of Celebration Lutheran, Anacortes, will lead a Bible study, “Dancing Through the Waters,” focusing on Miriam’s story and Exodus 15:20. For more information or to register, please visit www.lutheransnw.org/synod-women. This hymn is sung to the tune ENGELBERG, which we hear below on piano. Thank you for your blog, facebook post. I read the prayer of the day out loud. God bless Cross of Christ.